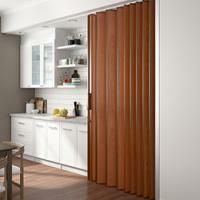 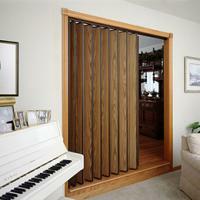 Woodfold Accordion Doors are the premier natural wood accordion door on the market. 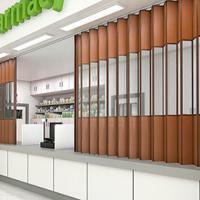 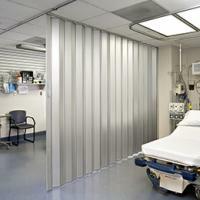 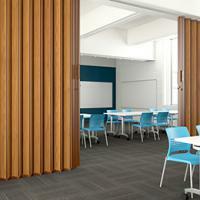 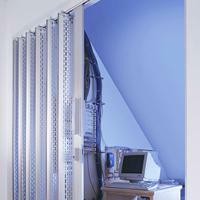 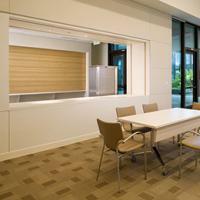 They make excellent room dividers and can be used to divide large areas to allow for several functions at once. 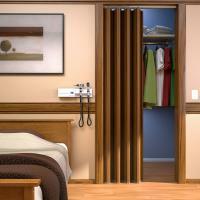 These interior folding doors can help eliminate door fights in tight areas or help reduce distracting noise from one room to another. 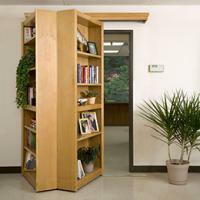 You can also use Woodfold's accordion doors to dress up the exterior of a closet and help free up space, or take a look at Woodfold's custom bookcases and roll-up doors for more space-saving options.